Taken from: Maine Knits "Bittersweet Cowl" - From the designer: In the summer, one section of my backyard gets covered in Bittersweet vines. And though the plant is considered to be invasive, I am somewhat grateful for the green jungle which is created by all the new foliage. I suppose the plant itself is bittersweet in that way. By fall, little yellow berries form and turn reddish-orange. 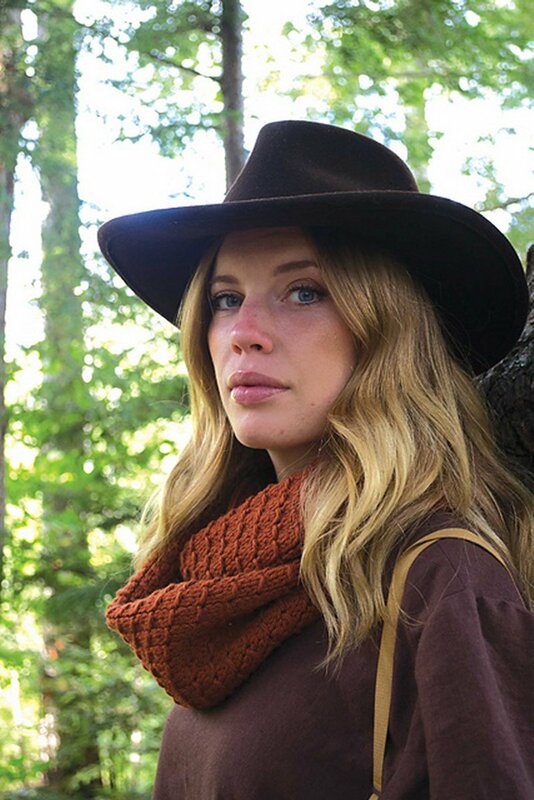 This cowl is inspired by these bittersweet berries, which glow in the warm autumn sun. 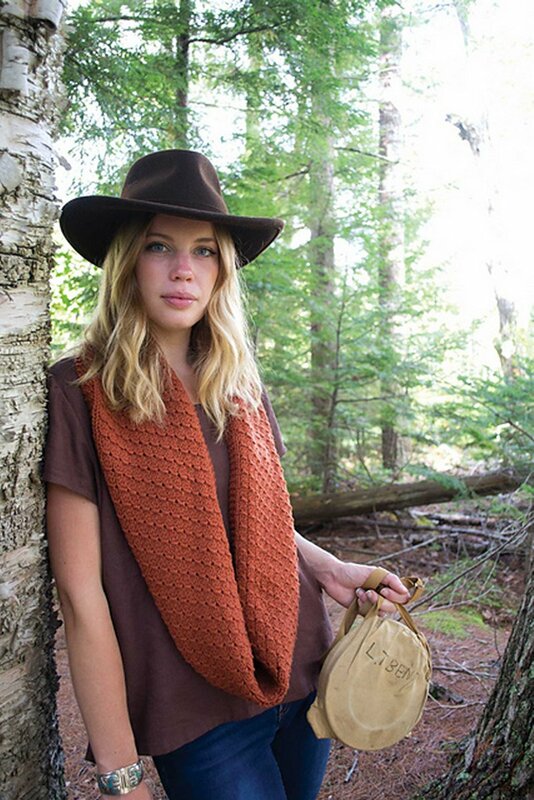 This pattern is from Maine Knits pg. 80 "Bittersweet Cowl". Size US size 10.5/6.5 mm straight needles and a US size 10.5/6.5 mm spare needle (or size needed to obtain gauge) are required but not included. Notions required but not included: waste yarn, tapestry needle. Finished Measurements: 53" / 134.5 cm long and 8" / 20.5 cm wide after blocking. Yarn shown is Quince & Co. Osprey in Fox. We do not currently carry this yarn, but Cascade Eco+ is a great substitute. 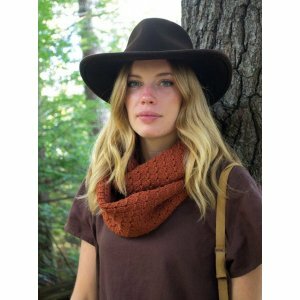 $27.50 -- Kit price including yarn only (no book or pattern). $51.50 -- Kit price including yarn and pattern book.